With the 64th International Festival of Creativity right around the corner, we wanted to make sure you knew where to find Flipboard in Cannes. We’ll be sharing insights in a few sessions that you won’t want to miss, covering everything from the future of mobile video to redefining female success. If you’ll also be in the South of France, we look forward to seeing you there! Mark your calendars for the following events. 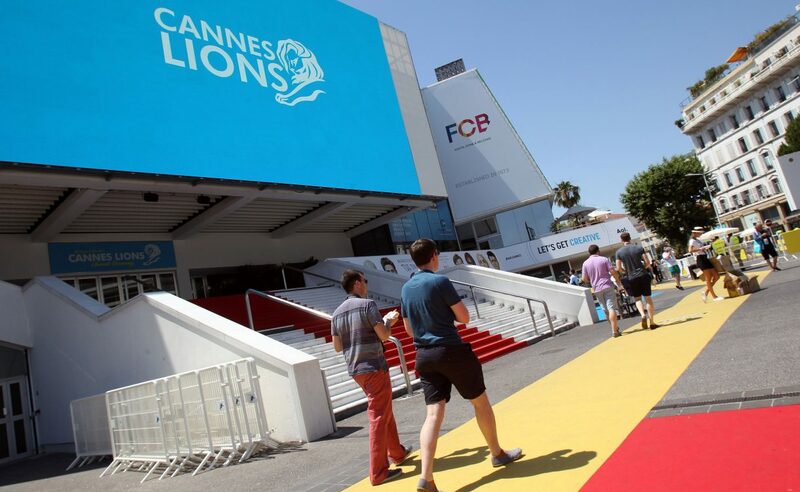 Whether or not you’ll be on the Croisette, we are curating all the news and industry trends from your favorite sources so you can stay up to date on all things Cannes on Flipboard. 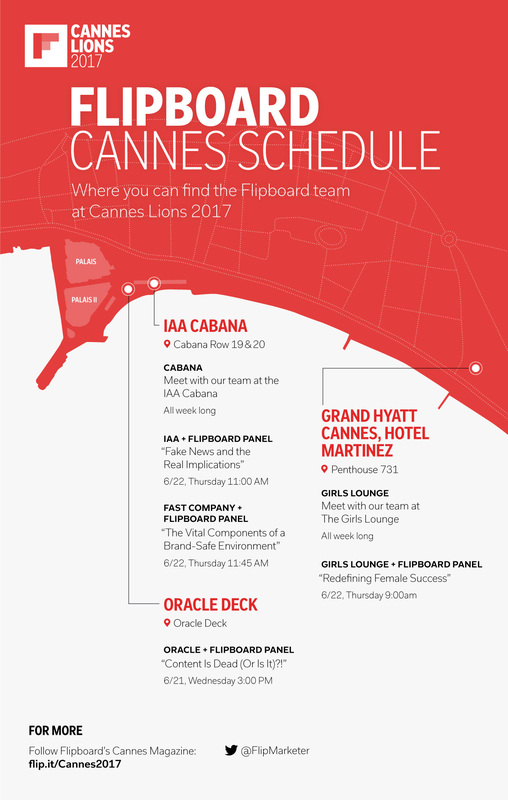 Throughout the week, Flipboard will have space at the IAA Cabana where our team will host meetings to introduce an upcoming research study measuring the impact of mindset on consumer engagement and discuss our brand safety guarantee, as well as share mobile consumption trends and audience insights unique to Flipboard. How to get in: You can access the cabana with your delegate pass or email events@flipboard.com to let us know when you’d like to stop by. All are welcome to stop by The Girls’ Lounge, where Flipboard is a sponsor. Hear from the inspirational people changing industry culture and advocating for diversity in leadership. How to get in: No need to RSVP, come by when your schedule allows. However, you will need a hotel pass this year if you don’t have a delegate badge. Join us for breakfast and conversation led by Randall Rothenberg, IAB President and CEO, in discussion with key executives from Twitter, Flipboard, and more to summarize key trends from this year’s Digital Content NewFronts and prepare for the future of mobile video. Join Flipboard Managing Editor Gabriella Schwarz in conversation with panelists from Vox Media and General Mills, to talk about how brands and publishers can find the ideal relationship between content and data. Flipboard’s Gabriella Schwarz will be moderating a conversation with Tina Brown, CEO Tina Brown Live Media, and others who are busting stereotypes and redefining what female success looks like, both in and out of advertising. How to get in: No need to RSVP, all are welcome. Schwarz, also Flipboard’s Head of News, will be speaking on a panel about the implications of fake news for advertisers and the steps needed to combat it at the IAA. How to get in: You can access the cabana with your delegate pass or let a team member know that you’d like to attend.